Isn’t the headboard gorgeous? I really love how it turned out. Even though it took me a year to share it with you, one of those projects that got completed, but I hadn’t had a chance to blog about it. OUPS! 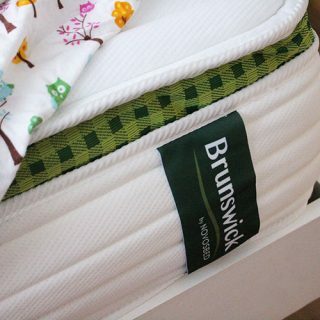 This post contains some affiliate links for your convenience. Click here to read my full disclosure policy. 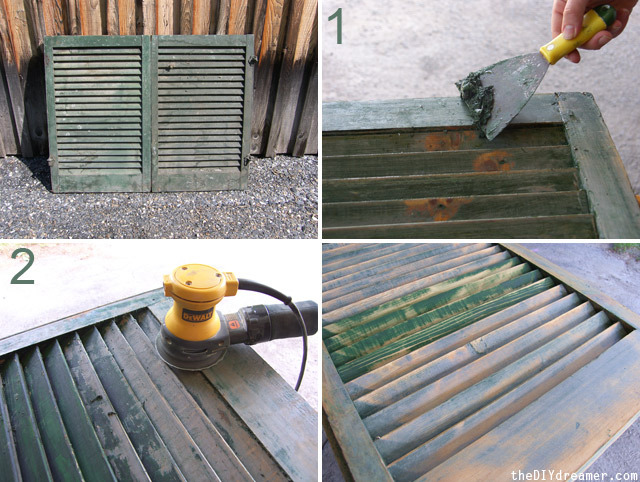 Step 1: Use paint remover and a spatula to remove the old paint from the shutters. Follow the instructions indicated on the product. Step 2: Once you have removed as much paint as possible, use a sander to sand the shutters until they are nice and smooth. Step 3: Use wood filler to fill in any holes you wish to fix with the help of a plastic spatula. I kept a few holes to give the headboard a rustic look. Step 4: When the wood filler has dried, use sand paper to smooth it out. 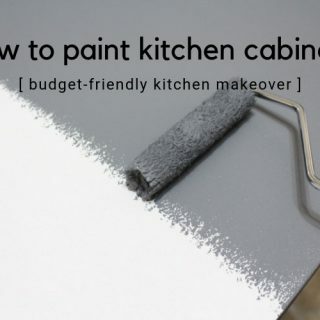 Step 5: Apply at least two coats of paint with a primer in it. I actually applied 3 coats, as you can see 2 coats didn’t cover the green enough. 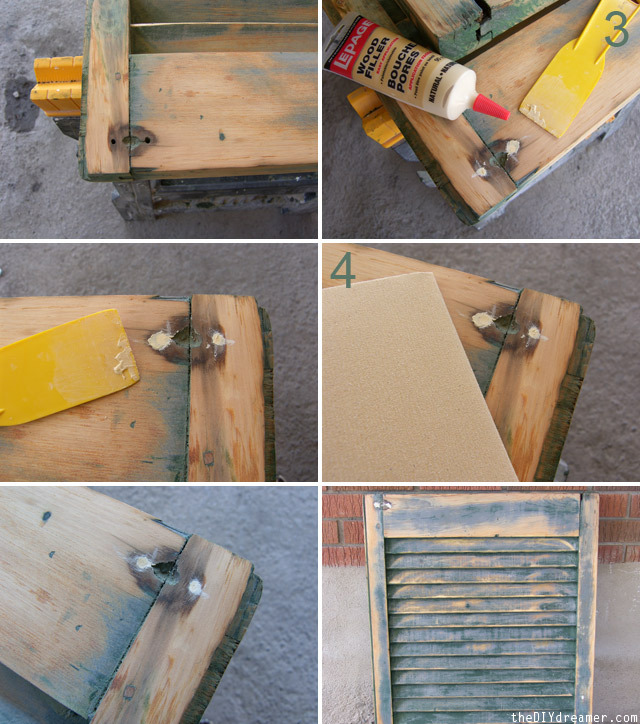 Use heavy-duty frame hooks to attach the shutters to the wall. 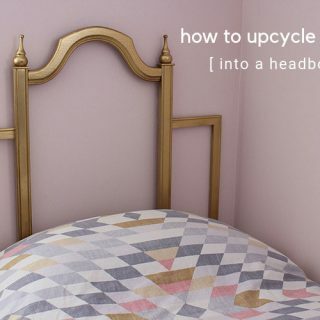 And voilà, you have yourself a shutter headboard. We also made the bed frame. 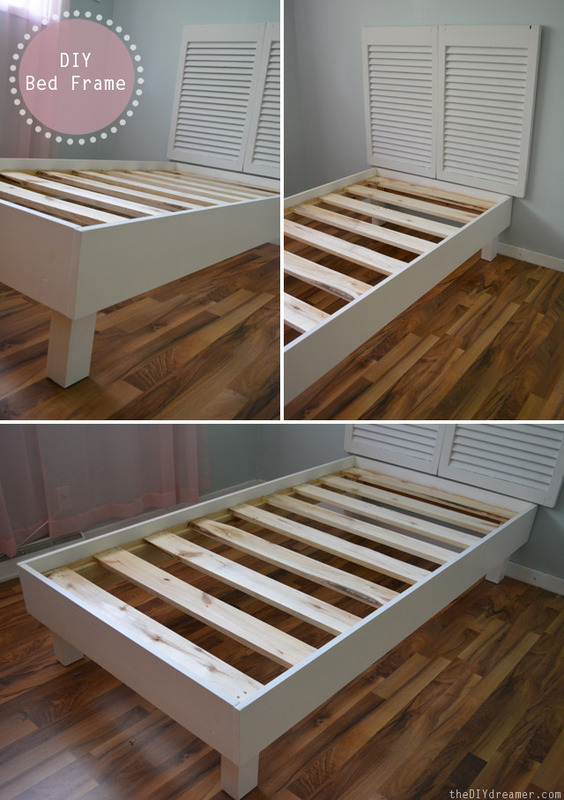 I’ll share how we made the bed frame in a future blog post. As you can see we didn’t end up putting pink bedding on her bed. We picked up a white duvet cover at Ikea instead. Now we need to get cracking on her furniture. We’ll be working on them this summer and hopefully I won’t wait a year before sharing it with you. Do you like how the headboard turned out? 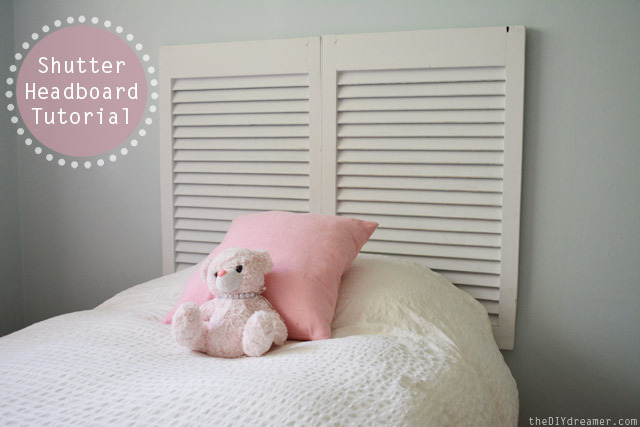 Love your shutter headboard! I recently made one for our master bed. It was a bit of work (cleaning those slates is a bit tedious) but totally worth the finished product! I really like the shutters you found for this project. Just perfect for the bed. Oh wow! This is so cute. Great job! This is adorable! I’d love to try it in a nice natural wood finish for my boys! What a fantastic idea. I have been trying to come up with an idea for a new headboard in OUR bedroom!! I should keep an eye on your blog and maybe you have more ideas!! wow I can’t believe they started out all grungy like that! Très bonne idée Christine!!! J’aime bien ça! I love old shutters like these Christine! I just got ahold of some old shutter style closet doors (free from my mom’s friend) and I love thinking of all the possibilities for them… This headboard idea is adorable! 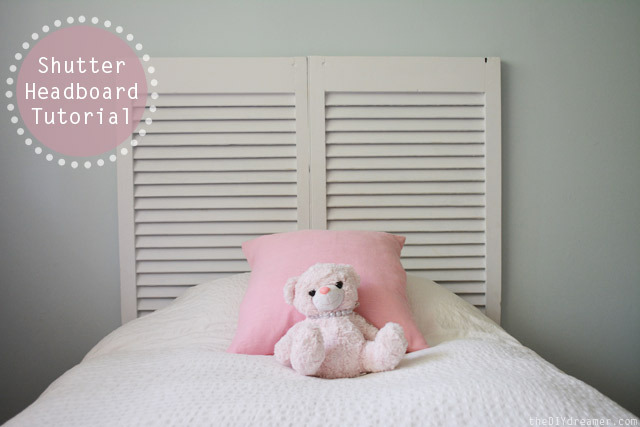 Thanks for sharing how you refinished the shutters! I have some old ones and wasn’t sure what to do with them. Think I’ll give it a try! SO amazing job! love shutter headboards but this is truly the prettiest I have ever seen. Such a lucky princess you have :-) Hope you’re enjoying the summer dear Christine, big hug Mette and thanks for the tutorial! Super cute! Love this! Thanks so much for sharing. 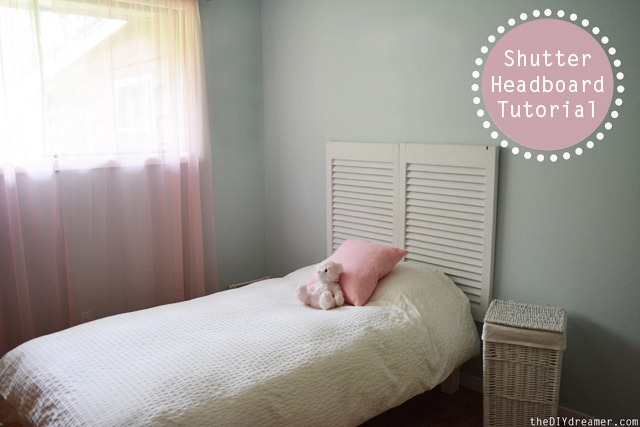 I love shutter ( or door ) headboards – beautifully done! Such a cute headboard! I love shutters! I’m new to blogging and found you at the sundae scoop! Your blog is so fun, I’ll be following you! 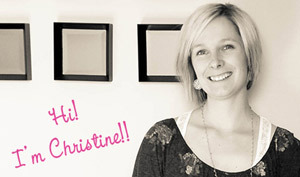 Hope you are having a great evening Christine! How cute is this headboard! I love it! Thank you for sharing at our Pinteresting Party! Super adorable!! I love how simple, yet makes a big statement! By the way, I’m giving away a copy of Handmade Walls E-book on my blog right now if you or your followers are interested in entering to win! It has tons of ideas on how to create custom art and frames for your walls. Love it! I just Loooooove this Christine!!! wonderful job, it makes a lovely space! Super cute!! I found you at the Inspiration Exchange party. Hope you have a fabulous evening! We love this project! Simple little bed with that darling headboard. Gosh this is just ADORABLE!! You have done a wonderful job. Thanks for the time in creating the tutorial. 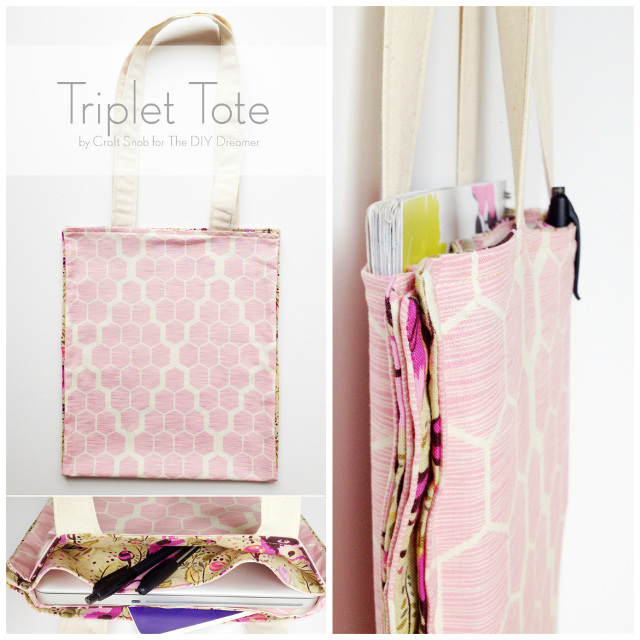 Following from the Ginger Snap Crafts linky party. 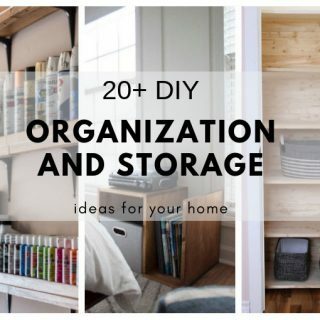 I can’t pass up a shutter for just such projects as yours. What a great headboard! 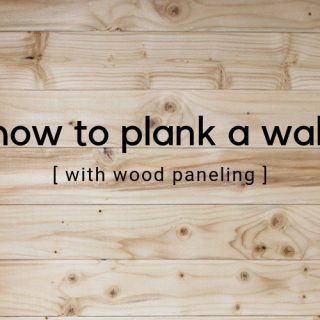 Have you seen on pinterest the pin where they used shutters for a whole wall? It was amazing. I haven’t seen shutters as the headboard before. It is adorable! Good job! You have been featured at Craftionary for your awesome idea.. :) Come and check it out and button up if you like! 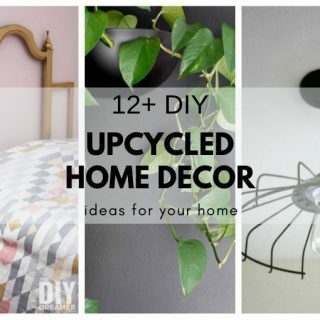 Thanks so much for linking up to support habitat. Good luck and hope to see you back next week! What a cute and fun idea for kids’ rooms! We would love for you to share at our first Super Summer Saturday party here: http://www.thechirpingmoms.com/2013/06/super-summer-saturday-party.html! Wow Christine! The headboard turned out so beautifully! Pinned this one! Wow, this turned out so sweet. I love how simple and clean it looks! I would be honored if you share this at my link party, Ginger Jamboree! What a super creative headboard!! I LOVE it! Thanks so much for sharing at Thursday’s Temptation. I am going to be featuring it at tonights link party! I see you already saw your feature… ;) but just wanted to say thanks for sharing with us at Fancy This Fridays! Christine, Great headboard! Looks perfect for her room. What a great find at the antique store. I’ve pinned it. Adorable headboard. Thanks so much for sharing with Adorned From Above’s Blog Hop. The party will be back this week starting Tuesday and 8:00PM mountain time. We can’t wait to see what you have to share this week.